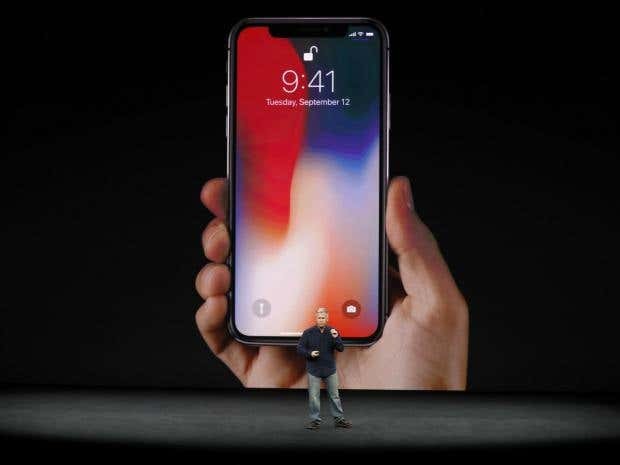 If you haven’t already heard, Apple have unveiled the latest range of iPhones and the world’s anticipation for the biggest piece of tech news of the whole year, has not left people disappointed. Indeed, there was seemingly something to make everyone happy during this keynote event. Tim Cook, who hosted Tuesday’s Apple Event showcased quite a few gadgets that will soon become available to buy from the Apple store, but the biggest surprise was the reveal of the iPhone X, (pronounced iPhone 10), on the 10th Anniversary of the first ever iPhone. How befitting is that? As you’ve seen, these iPhones come with wireless charging, no home button, facial phone unlocking technology, talking emojis (Animojis), and with an edge to edge OLED screen. Plus, the iPhone X comes in two colours, Black or Silver. This has been called “the biggest leap forwards for the iPhone since the first iPhone”. Whilst the 1k price tag would put some people off, this won’t stop people seeing some value for money, being that this phone is boasting the highest of the high in phone technology. We’re pretty excited about it, apart from the facial recognition technology to unlock your phone, which we personally feel is a step too far, but probably not for people who enjoy Snapchat and love broadcasting their private life to the world. Actually, what’s wrong with facial recognition? How else would you animate your Emojis? Perhaps we’re more old school, and would be more suited to an iPhone 8 or iPhone 8 Plus instead? Let’s take a look at this hopefully more moderate phone from Apple: the iPhone 8. Well, that was a very underwhelming trailer for the iPhone 8 & 8 Plus, at least compared to the iPhone X’s anyway. Seemingly Apple want you to go and get the iPhone X (10) instead. However, let’s not brush this one off just yet. Instead, let’s learn more about the iPhone 8 and see what it shares with iPhone X and it’s predecessor iPhone 7. The iPhone 8 is still made with its most durable glass yet, and is water resistant as well as dust resistant. It’s packing a 4.7″ display on the iPhone 8 and a 5.7″ display on the 8 Plus, with sound speakers built in that are 25% louder than on the iPhone 7. Under the hood, this phone has an A11 bionic chip (far better than iPhone 7), plus a 12MP camera that can even shoot 4k videos at 60fps. Now for all you photo or selfie enthusiasts, you’d be happy to hear that with the iPhone 8 Plus, you can use the New Portrait Lighting feature, which helps create facial landmarks and enhances light effects on the face. The iPhone 8’s will be available in Silver, Space Grey and a new Gold finish. The new iPhones will also run on iOS 11, which will have improved safety features and a redesigned control centre, plus peer-to-peer Apple Pay. Of course, all these features we mentioned are also available on the iPhone X, but the iPhone 8 also boasts wireless charging like the X, so all in all, with the iPhone 8 available at 64GB and 256GB, for £649 & £849 (or for $699 or $849) respectively, it can be a tough decision of which phone suits you best. You can also go for the iPhone 8 Plus at 64GB at $799 or the 256GB for $949, which is £699 and £799 in the UK. Alternatively if you have cash to splash, you could go all the way and just get the iPhone X 64GB which starts at $999, or the 256GB model for $1,149, which in the UK will be starting from and going upwards of £999 for the iPhone X, depending on if you want the 64GB or the 256GB. Now to tempt you towards the iPhone X, here’s a more in-depth look at this latest leap in phone technology, which they say will be the ground base for the next decade in smart phones. Additionally, if you’re the savvy type that wants the Apple Watch Series 3, then this will be available for £329 without cellular or £399 with cellular. The preorder date for the new Apple Watch is September 15th, with the shipping date being September 22nd. So there you have it! The biggest and most anticipated tech news of the year has finally arrived. Which iPhone caters to you, and which do you think is a better purchase at this time? Please tell us in the comments section below.